PLEASE NOTE:​ Fees listed are a “guideline”. Additional fees may be applicable depending on the number of pets, medication needs, and distance from our office. Pricing may be a “layered” situation depending on extra pet needs, home care needs, or extra mileage. *Prices are for 1-2 pets; additional pets are $5/pet per visit. *$5 surcharge per visit over the major holidays (listed below). 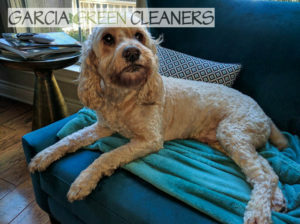 We feel the familiar environment, diet and exercise routine, along with the personalized attention provided by a professional pet sitter makes for the happiest pets. Keeping your cat in your home eliminates the trauma of being transported and greatly reduces exposure to kennel borne illnesses from other animals. Additionally, the included house sitting services provide a great crime-deterrent. We will come to your home for a minimum of 30 minutes to check on your cat(s) . 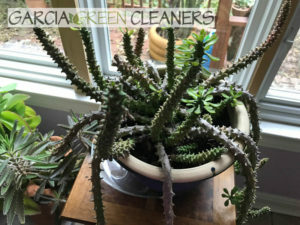 Our, visits include playtime, TLC, feeding, washing pet dishes, cleaning kitty litter box, brushing, mail and newspaper retrieval, light plant watering, and home security check. Prices are based on 24-hour stays. $10 surcharge per night for in-home stays over major holidays (listed below). Key pickup/drop off charge: $15 (if not provided at Meet & Greet). 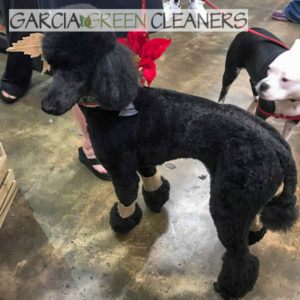 A 50% deposit is due upon booking the dates for overnight pet service with GARCIA GREEN CLEANERS. PAYMENT by CASH/ CHECK or ONLINE to be paid in advance. Visits scheduled during non-business hours will be charged an additional $10/visit.